I am in a wheelchair / use a walking frame / have cardiovascular problems. Will I be able to visit the church? 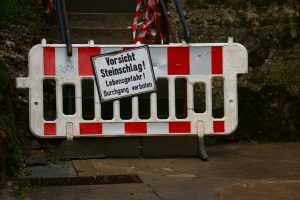 Unfortunately a visit to the Felsenkirche will be very difficult under these circumstances. Due to the unique geographical location of the church built into a natural niche in the rocks close to the rock wall there is no direct access for vehicles. It can only be reached via a footpath with more than 200 steps starting at the market square. The most comfortable, predominantly flat footpath starts at the end of Genossenschaftsstrasse. However, there are no parking spaces at the end of the street. Please keep in mind that you will still have to climb 40 stairs through the tunnel that leads into the church. Do visitor groups have to be announced in advance? Tourist groups can visit the church without prior reservation. 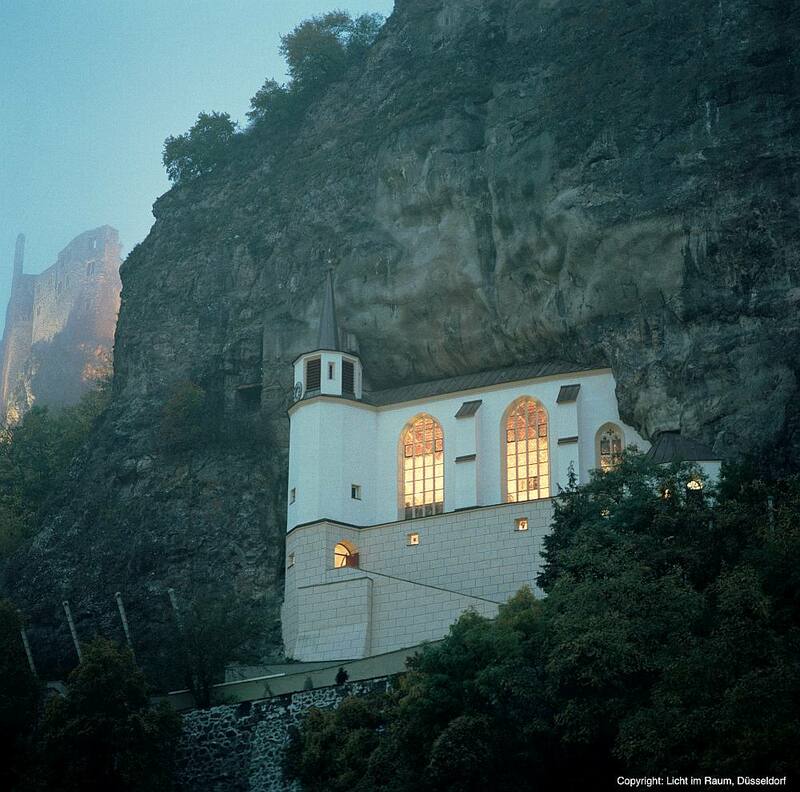 Are guided tours offered at the Felsenkirche? The Evangelical Parish of Oberstein does not offer guided tours. Please contact the Tourist information of Idar-Oberstein (Tel: + 49 6781 64871). Of course our service personnel at the church will be happy to answer your questions. Is it possible to visit the Felsenkirche between November, 16 – March, 14? The church is usually closed during this period. Exceptions can be made and we try to accommodate visits. We rely on the voluntary readiness of our personell. Please contact us early. Are there sanitary facilities at the Felsenkirche? Unfortunately not. There are no sanitary facilities at the Felsenkirche. In urgent cases please use the public restrooms next to the Deutsches Mineralienmuseum or at the castle.